A long-buried copy of the infamous Atari game "E.T." is worth more than $1,500. The desert city of Alamogordo, New Mexico, finally sold off its buried treasure of ancient Atari games, raking in more than $100,000 from nearly 900 games. The haul included a single copy of "E.T. The Extra Terrestrial" from 1982. Once vilified as the worst video game ever, the outmoded and abandoned "E.T." sold for $1,535. 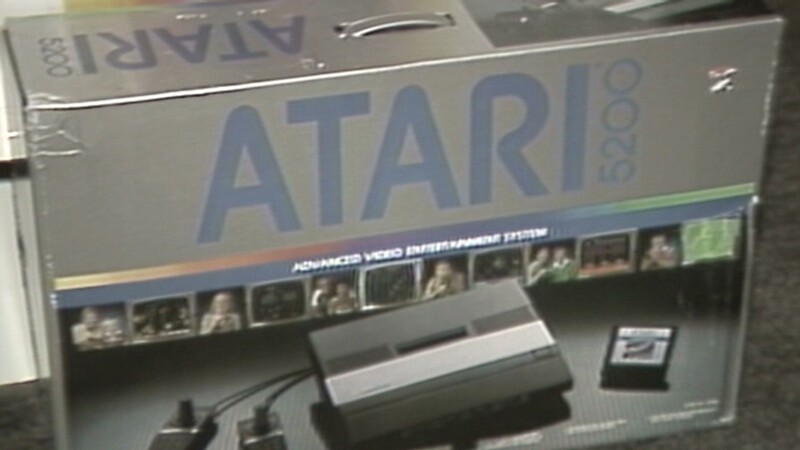 Atari emptied out a warehouse and paid Alamogordo to dump nearly 800,000 games in its city landfill in 1983, according to Joseph Lewandowski, who was on site when it happened and later bought the garbage company that buried them. Since people kept asking him about it, Lewandowski decided to rediscover the games, buried in a trench, 30 feet deep, in a 300-acre lot. "I really wasn't a gamer," said Lewandowski, who rediscovered the site with the help of old photographs and maps. "I never had time to play games. For me, it was the ultimate treasure hunt for an urban legend." He said they dug up 1,178 of the Atari 2600 game cartridges with about 50 different classic titles like "Pac-Man," "Ms. Pac-Man," "Breakout," "Star Raiders," "Pele's Soccer," "Centipede," "Baseball," "Asteroids" and "Defender." He sold most of them to raise funds for the city and his local nonprofit, and kept the rest for museums. Lewandowski coordinated the city's sale of 881 games through eBay (EBAY) for a total of $107,930. About $26,000 of that was spent on shipping and other costs, since the sale attracted customers from as far away as France, Brazil, Australia and Singapore. Alamogordo gets $65,037 to support the police department, the zoo, a veteran's memorial, and other projects. The Tularosa Basin Historical Society, where Lewandowski is vice president, will receive $16,529. That leaves 297 cartridges that haven't been sold, including about 40 of the fabled "E.T." games, said Lewandowski. He said they won't be sold because they're too valuable historically. Andrew Reinhard, a self-described "punk archaeologist" and "archaeogamer," helped with the excavation. "The archeology that I'm interested in is the archeology off the recent past," said Reinhard, who also works for the American Numismatic Society in New York. "For archeology, this is the first excavation of video games in the history of humanity." Reinhard knew they were getting close to the Atari trove when they started unearthing artifacts from the early 1980s, including a Donny and Marie Osmond poster. Then they found a local newspaper from 1983 with a headline about the Atari dumping. "Sure enough, underneath the next foot or so, the games started coming up," said Reinhard. Even though there's still a massive lode of games underground, the excavators said that it's game over. "We won't dig up anymore," said Lewandowski. "The city will never allow it. This is a one-time shot."